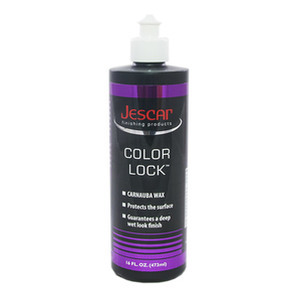 Lock in the colour and protect your paint with Jescar! 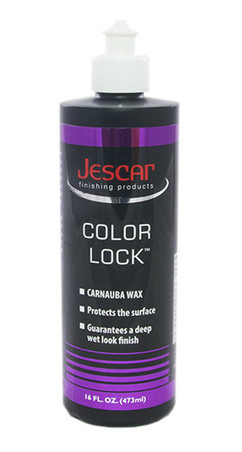 Jescar Color Lock Carnauba Wax is the same product you know and love; just a different name. Jescar’s latest innovation and like their polishing compounds, it’s designed to do one thing – make your paint look perfect! Jescar Color Lock Carnauba Wax can be applied by hand or with a dual action polisher. Black paint tells no lies: Jescar Color Lock Carnauba Wax creates an immense amount of depth while bringing out the richness in the color. Jescar Color Lock Carnauba Wax is a liquid carnauba car wax that delivers an unmatched user experience. It features a pleasant scent that you will actually enjoy as you apply a thin, even coat. Its formula was engineered to be thicker than other liquid carnauba car waxes to minimize product waste by keeping more on the face of the applicator. 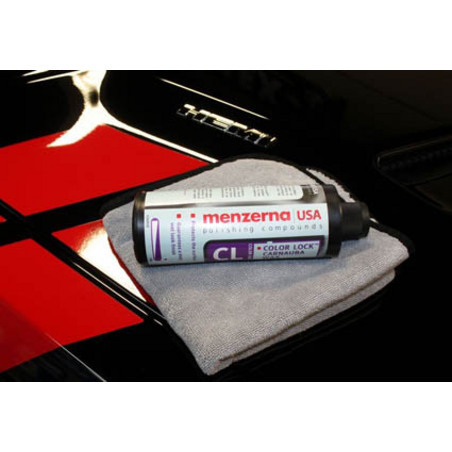 Menzerna is recognized as being an innovator in the industry and Color Lock Carnauba Wax is a great example of this. Jescar Color Lock Carnauba Wax is non-abrasive. Before application you should use detailing clay to remove above surface contaminants and if necessary, polish to remove swirls and scratches.